Mware Solutions is proud to be the the only Middleware Solutions provider to offer a full line of unique User Interface designs, each one build from the ground up. 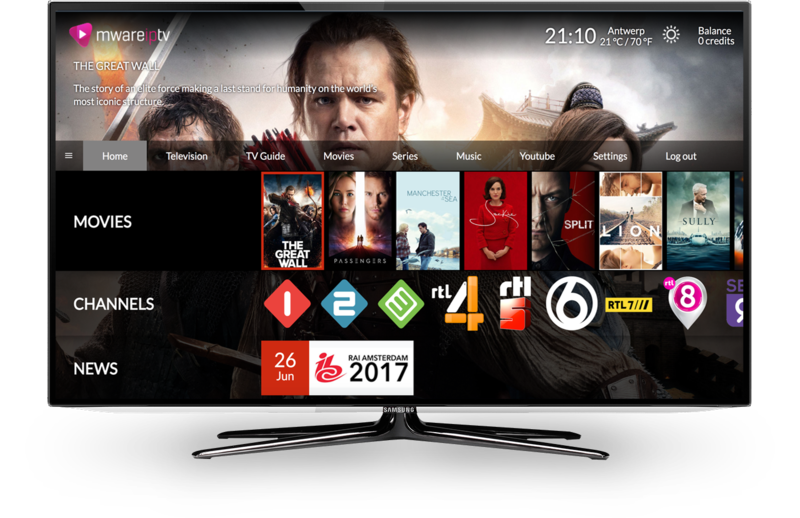 So every one will have the characteristic features that your are used to from us like: LiveTV, TV Guide, Movies, Series, Music, Apps, Games and much more. Each User Interfaces is designed with the consumer in mind in addition we teamed up with the worlds best UX designers to really break with the dull and non creative designs that you seeing a lot in other Middleware Providers. So we won’t stop with delivering new and fresh designs till we have a collection of about 50+ unique User Interfaces. And if you still can’t find a User Interface in our collection that you like we can create a custom User Interface just for you. Please feel free to browse our collection and contact us for a real live demo. Press the link below to see Hina in action.